Whether you are looking for a open and caring community where you and your family, no matter how you define them, are embraced or a place where you are free to explore diverse theological, philosophical, and spiritual ideas, or a faith community that believes values must be lived and social justice work is the heart of what it means to be religious, know that you are welcome! We are a religious tradition that embraces many different beliefs…including yours! 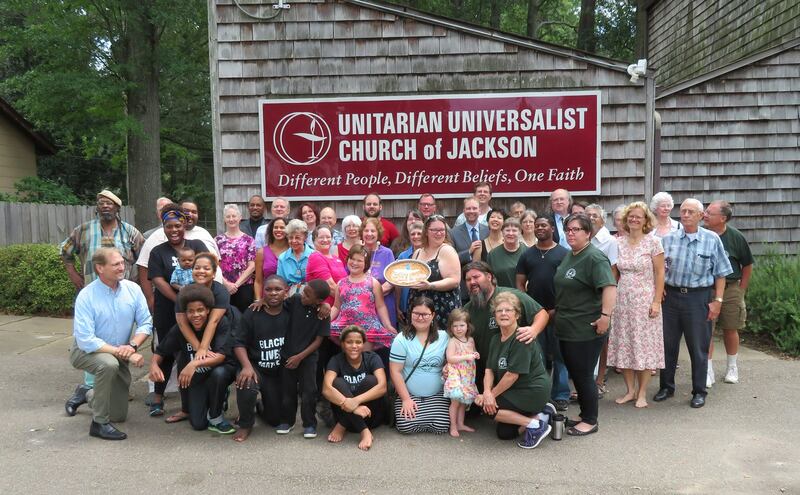 The majority of our 70+ members and friends were not born Unitarian Universalists. Ours is a chosen faith. We come from many faith traditions including Hinduism, Buddhism, Judaism, and variety of Christian denominations across the Catholic and Protestant traditions or from no religion at all. We gather together to support one another in our search for answers to life’s biggest questions and to worship, or to lift up those values that have “worth” for us. YOU ARE WELCOME EXACTLY AS YOU ARE! UUCJ embraces people of all levels of ability, identities, and family configurations and situations. Our congregation is black, brown, and white; old, young, and somewhere in between; gay, lesbian, straight, and questioning; liberal, moderate, libertarian, and non-political; and academics, entrepreneurs, tradespeople, and artists. We hope you and your family find home here! 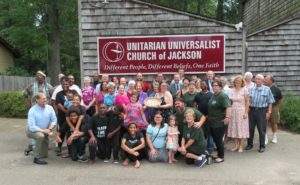 Check out our latest announcements to keep up to date on all the UU happenings in Jackson and beyond!